We are offering Pressure Vessel to our customers. Our experts strictly monitor every stage of manufacturing, so as to maintain higher quality standards of the products offered by us. We are among the reputed organizations engaged in manufacturing and supplying Magnetic Separators. 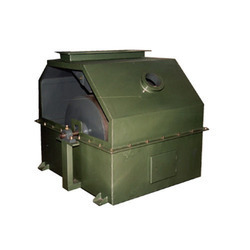 Used for installing conveyor belts, vibratory feeders, chutes and picking up of ferrous metal parts from bulk goods, these separators are manufactured in accordance with international standards. A team of experts keeps vigil on every stage of production, so as to manufacture high quality separators.